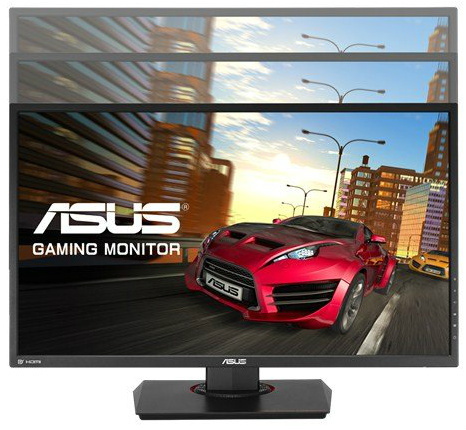 When you are serious about gaming, a good gaming monitor can go a long way towards enhancing your overall experience. The Asus MG278Q is one of the least expensive choices for the features on offer but how does it hold up to the competition? At first glance, the MG278Q is an unassuming monitor which follows Asus’ consistent design guidelines. The charcoal design looks very sleek and the menu icons at the bottom right of the screen are elegant too. The bezel is quite thin too so you should not find it too distracting. The base of the screen is perhaps the most interesting aspect of its design with hints of red and a neat pattern. Of course, the best thing about the stand is that it offers tilt, height, and swivel adjustments and you can even rotate the panel to portrait mode. Though not the thinnest monitor, the design is consistent throughout and it will look great on any desk. Underneath the panel on the back you will find a DisplayPort which is necessary for FreeSync, two HDMI ports (HDMI 1 and HDMI 2), a DVI port, two USB 3.0 ports, a line-in port, and a headphone jack. Moreover, the monitor comes equipped with two fairly decent speakers that should work absolutely fine for everyday tasks though you shouldn’t expect too much them. Finally, there’s a protrusion at the back of the stand which should aid in cable management. Navigating the various menus is extremely easy as Asus has included its mini joystick controller on this monitor too. The MG278Q offers six different display presets, namely Scenery, Racing, Cinema, RTS/RPG, FPS, and sRGB. Generally, you will want to test each mode on individual games because you may not agree with the presets’ colors and contrast. Aside from that, there are very comprehensive color options including a Blue Light Filter which works like the flux app by warming the screen. If you have not used such a feature before, however, the results can be quite jarring and it’s best left alone for anything other than everyday tasks. On a more interesting note, the monitor’s GamePlus features offer quite a few unique gimmicks. For starters, you can add one of six crosshairs to help you in FPS games. Though some might find it distracting, the feature works much better than you might expect. In essence, it will work great if you want to introduce someone to FPS games but if you are already an expert then I highly doubt you will use it. In addition to that, there’s an on-screen timer and an FPS counter, the latter of which only works with FreeSync enabled. Unfortunately, there is no way to use the features together and they are not that much more useful than what third-party apps can give you. The 27-inch, 2560 x 1440 display has a maximum fresh rate of 144Hz which is one of the main features that distinguish it from the MG279Q, the other one being the choice of panel. Whereas the MG279Q features an IPS panel, the MG278Q has a TN panel which looks absolutely fantastic, as long as you view it directly from the front. After all, 27-28 inches is the absolute max for TN panels. When gaming at high FPS, however, everything will look fantastic. 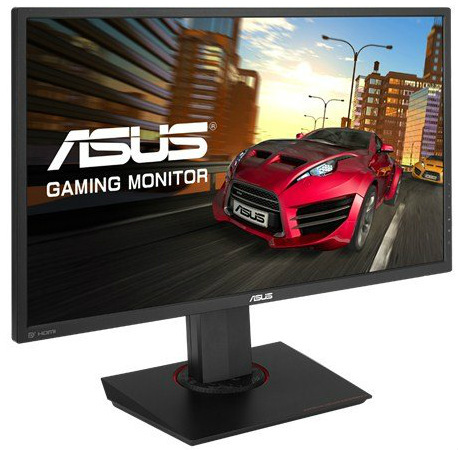 If you have a capable GPU, which is probably why you are looking at this monitor in the first place, then you can expect some incredible quality in virtually any game. The real point of difference here, however, is FreeSync. As you have probably heard by now, the technology works great and it’s certainly noticeable in a lot of games. Here, the range is 40-144Hz which should cover all of your needs. Of course, to achieve the extremely high frame rates needed to notice the difference in 144Hz you will also need a very powerful GPU configuration, particularly in the latest AAA games. If you have a high-end AMD graphics card and you are looking to invest in a monitor, then the MG278Q is definitely one of the safest bets. Compared to the MG279Q in particular, you will be paying less to get a very similar experience, unless having an IPS panel is more important to you. Should you choose to acquire the MG278Q, however, expect a high-performance monitor that will look stunning for years to come.